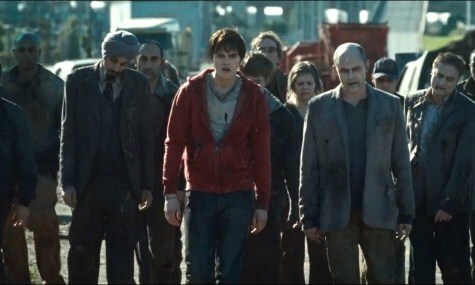 Zombies have been around for a long time now, at least in the movies anyway, yet I'm pretty sure you've never seen them portrayed quite like this before. Warm Bodies looks to combine the classic tale of the undead with action and teen romance all while showing how our favorite walking corpses may not be the mindless brain munching monstrosities we've always known them to be. 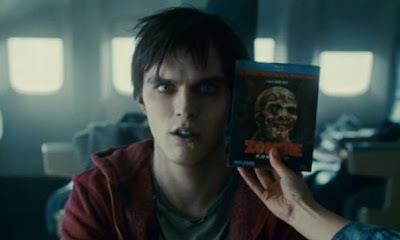 Nicholas Hoult plays the lead role of a zombie who used to be just your average teenager with a hoody and hasn't completely lost touch with that former reality. Somewhere along the way, he became part of the world's population of zombies who have taken over the world in a manner that is never fully explained. What we do know is that there is still a living human resistance dedicated to preserving mankind and reclaiming the planet from the mindless, grunting, brain eaters. This resistance is led by General Grigio (John Malkovich) who sends teams of quasi-soldiers to recover supplies and run scouting missions. His daughter Julie (Teresa Palmer) is sent out on one of the supply runs which just happens to end up in a building where a pack of the undead, including our hero zombie who we will call R (its explained in the movie), is looking for some brains to snack on. One thing leads to another and Julie ends up either being saved or taken captive, depending on your perspective, by R who takes her back to an airplane which he has turned in to his home. This chance encounter has rekindled something inside of R that will change both of their lives and may just decide the fate of the human race. What I really liked about this movie is just how fun it is. Writer/director Jonathan Levine, who received critical acclaim for 50/50, knows exactly what type of story this is and does a great job with putting the material on screen. I have not read the novel which was written by Isaac Marion, but the movie version definitely aims its sights on the lucrative market previously dug in to by both the Twilight and Harry Potter franchises. 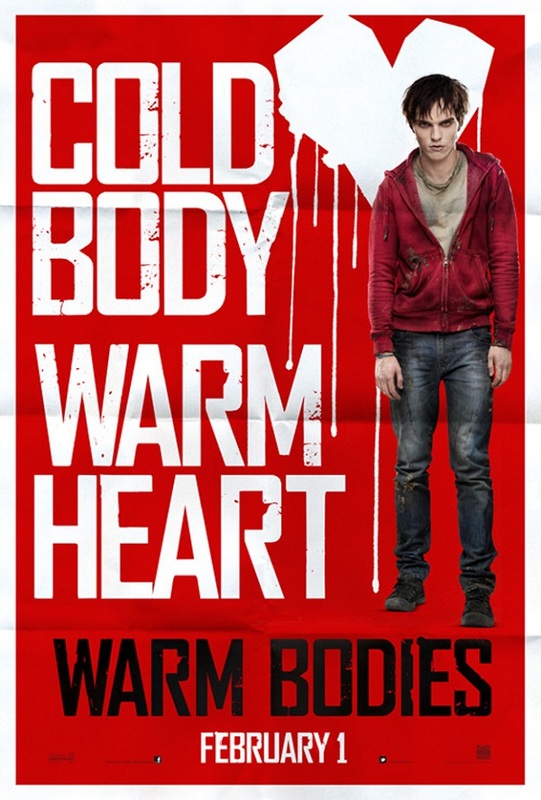 While this movie may not have the same mass appeal as those did, it should definitely find a nice home within that same market and should also appeal to fans of both the zombie and comedy genres as well. 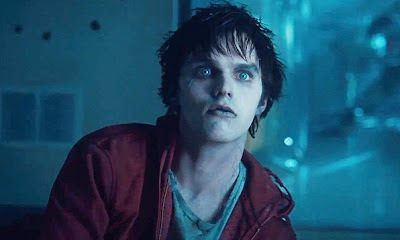 While I was watching the movie, I had no idea that the role of R was played by Nicholas Hoult who also plays Beast in X-Men: First Class. Hoult is definitely a rising star and shows off a very fun and playful side to his acting abilities that will definitely endear him to the ladies. Teresa Palmer, who plays Julie, is also someone to keep an eye on as this role should help keep her career on the upswing as well. 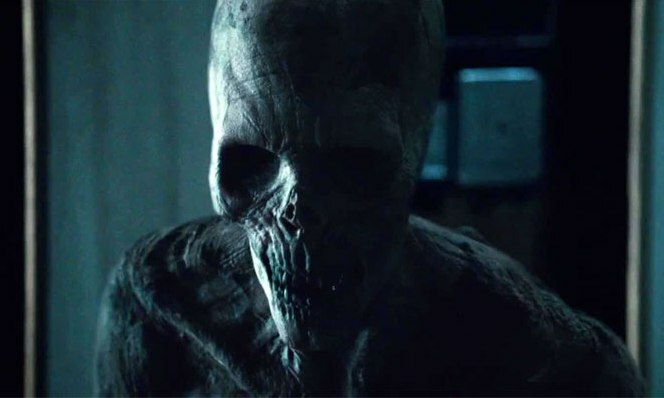 None of the acting performances in this movie are going to win any awards, but everyone fits their roles very well and its pretty clear that this was a fun movie to make for everyone involved. Aside from the main stars, I also really liked Analeigh Tipton who plays Julie's friend Nora and Rob Corddry who has a lot of fun as R's zombie best friend. 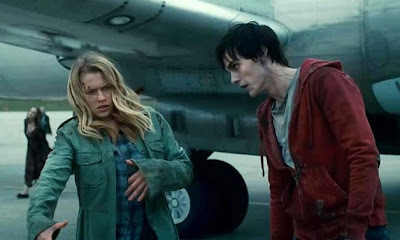 Warm Bodies is basically a romantic comedy wrapped in to the classic, and now trendy, zombie apocalypse story and it does a good enough job with each of those genres to make a very entertaining movie. The most comedic moments are when we get to see what might be going through the mind of a dead person who is trying to figure out "life" as a zombie. I'm not going to say you should be dying to see this movie, but you'd have to be brain dead or cold-hearted not to give Warm Bodies a shot.